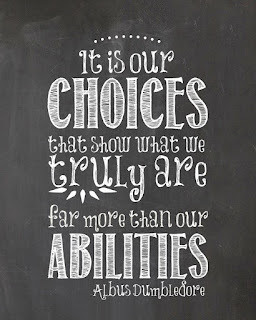 Laying Down The Foundations: Google Forms are Choice! I am a big fan of using Google Forms in my practice. It is a great way to capture voice, check for understanding and gain feedback on lessons. 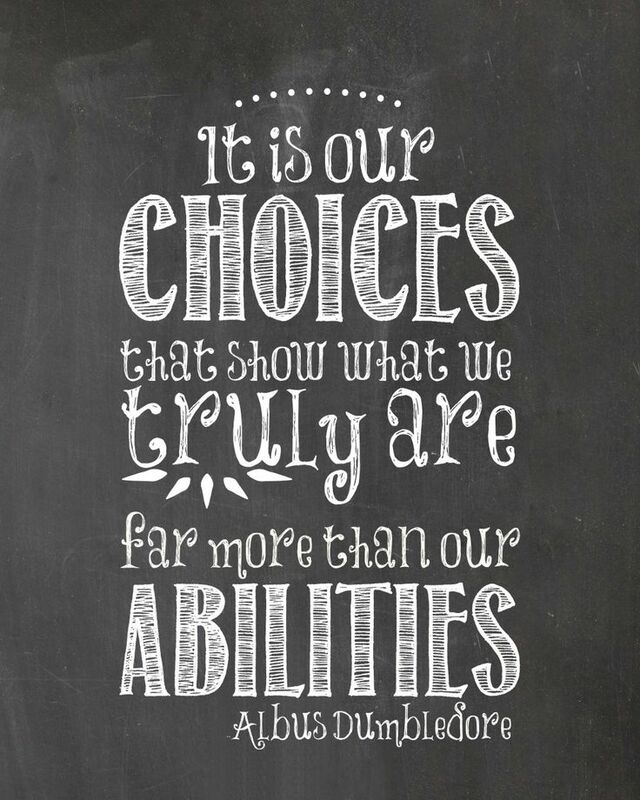 However when I did my Level 2, I learned about how you can maximise the element of choice in your forms. Prior to this, I had created forms that took learners through a series of questions from start to finish. However now I can add sections to a form and have learners go to different parts based on responses that they give. This has helped me support learners who may struggle with a concept so rather than just have them answer "no" or "I don't know" to a question, I can now take them to a different part of the form where I can ask specific questions to help me gain further understanding of what I might need to assist them in their learning. 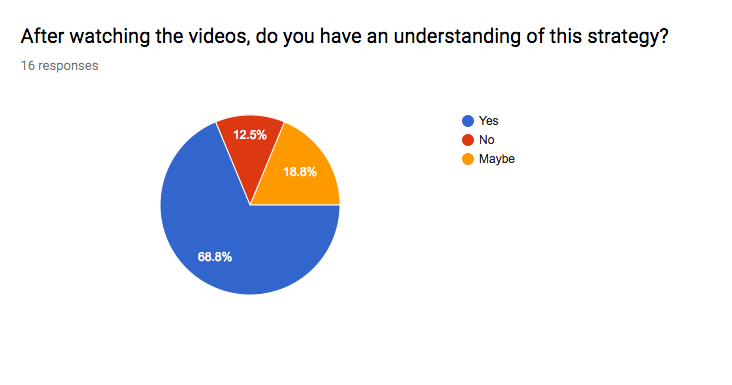 I also learned how to add videos to help learners build their knowledge of concepts before answering questions. 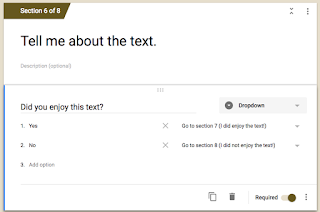 I have updated a lot of the current Google Forms that I use with my groups and now really enjoy seeing how learners are making choices and decisions and then justifying these decisions. Here are some examples of how I have updated these forms. 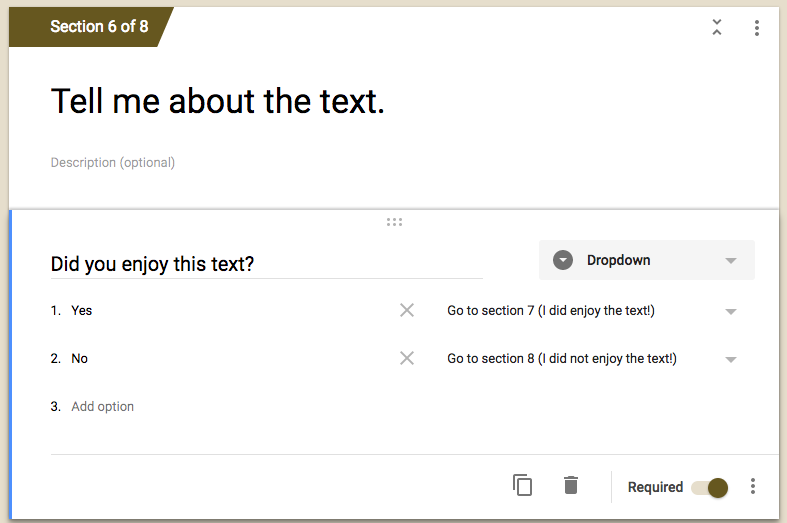 I have been getting the groups to evaluate their texts this year by rating it on a likert scale, however this term I chose to change it up and allow learners the chance to give a more definitive answer which is closely followed by the chance for them to justify their decision based on their response. I am revisiting a lot of the Early Stage Five Addition and Subtraction strategies with my groups so have been giving them some activities and videos to help me gauge their understanding before moving onto the Stage Five equivalent strategy. This helps me to structure the learning based on which learners are feeling about the current learning. Similar with my numeracy groups, I am trying to do some refresher workshops with my writers on how we refine (edit) our writing. This also gives me the chance to see what learners need assistance with their current skill sets or spot opportunities for future workshops or sessions. 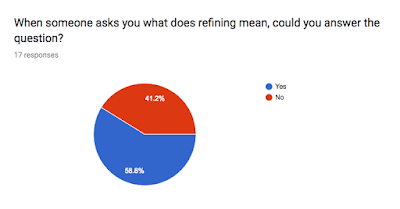 To sum it up, I think my title of the blog post hits home - I do find using Google Forms a key part of my practice and am looking how I can continue to challenge my skills in this area. Stay tuned for future updates!